Rango has spent his whole life as a pet inside a glass tank. But when he is accidentally thrown out of a car window, he finds himself alone in a wild west town called Dirt. Rango enters the local bar and convinces everyone he is a fearless gunslinger from out of town. 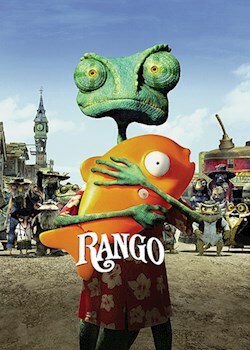 But when a real threat comes along can Rango be a true hero?